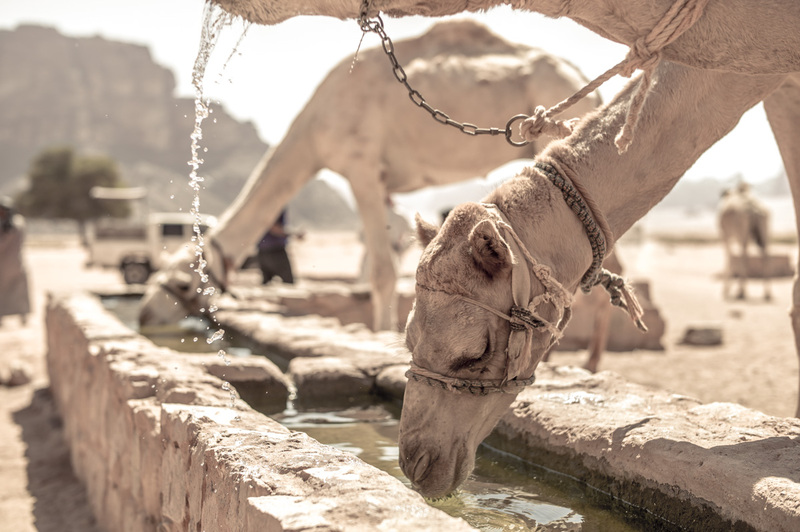 We will start this tour from Wadi Rum village, You will have a chance to enjoy visiting and see some of Wadi Rum historical and natural places. During this trip we will go to Nabatean temple. After that you will go to Lawrence's spring with a short stop. Then you continue to Khazali Canyon where you can walk through the canyon. After that you will go the little bridge where you can climb to the top. After that we will go to Um frouth Rock Bridge which takes 10 minutes to be on the top. After that we will take you to Lawrence's house. Then We will continue to Anfeeshiah Inscription ( Napatean and Bedouin old inscription drawn on the mountain), The next place we will see and visit is Sand dunes where you walk up the Soft sands and ejoy running down fast. After that we will show you the desert map ( Small map was used by bedouin to know the directions). Finally we will drive you back to Wadi Rum Village.